Just when it looked like the trade-war pain would ease, flooding across the Midwest has done billions of dollars in damage. There could be worse to come. 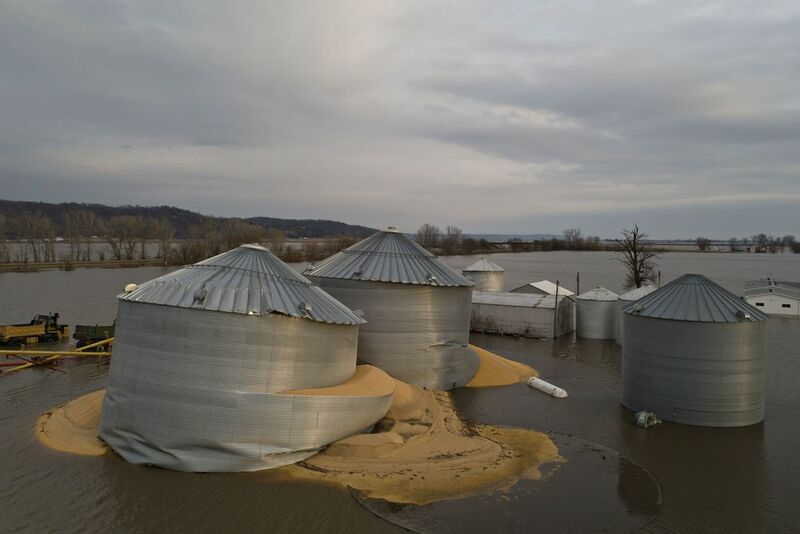 About three-quarters of U.S. corn and soybeans in storage are in states around the upper Mississippi-Missouri basins, where the National Oceanic and Atmospheric Administration expects to see major flooding through May as spring rain and melting snow exceed rivers’ capacities. Overall, about $76 billion of corn and soybeans alone have been set aside, according to the Farm Bureau, a lobby group.